Clint Chelf threw for 370 yards and 3 touchdowns and ran for 20 yards and a touchdown in an upset of the Bears. Donald Brown ran for 80 yards and 2 touchdowns. Bruce Ellington had 4 catches for 67 yards and a touchdown. Rivera saved 44 games in his final season. 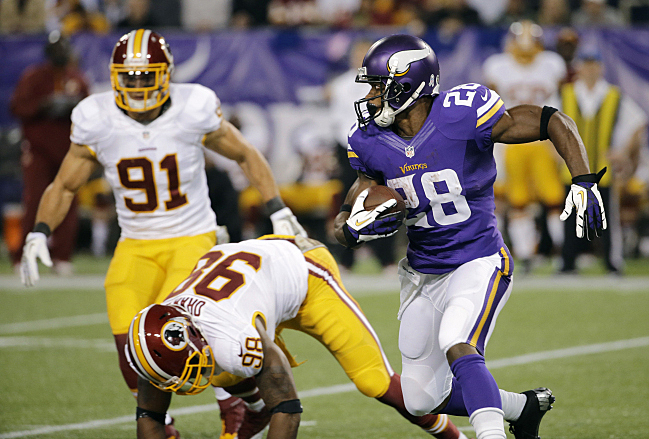 Adrian Peterson ran for 75 yards and 2 touchdowns. Tre Mason ran for 117 yards and 3 touchdowns.